Ra, named for the Egyptian sun god, completed the Great Loop with solar-powered electric outboards. When Capt. 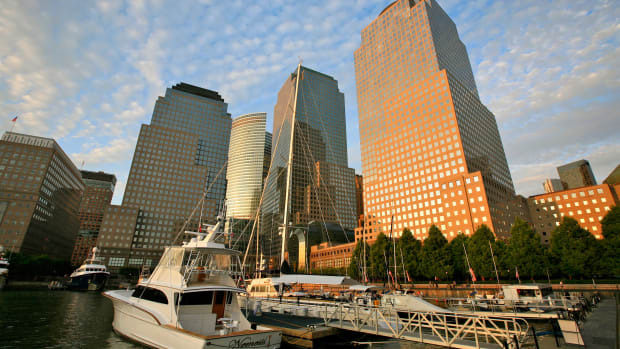 Jim Greer finished a 7,200-mile cruise this past winter, he acknowledged that he’d done something most boaters might consider crazy: completed the Great Loop without using fossil fuels or connecting to marina shore power. Solar power and its boating applications have evolved faster during the past few years than during the past few decades, experts say. What used to be an outlier energy concept that left some early saltwater adopters with rusted parts and cracked rigid panels is now a maturing industry whose products can make sense — and be affordable — for a growing number of boaters. 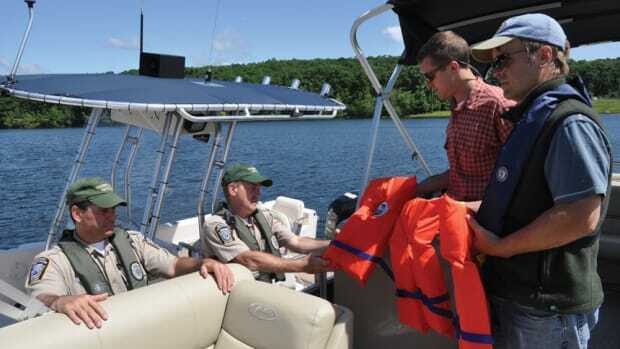 But for Greer and other like-minded boaters, who want to eliminate emissions and fuel costs while drawing on solar-charged batteries at a slower pace, today’s solar-electric systems are feasible. 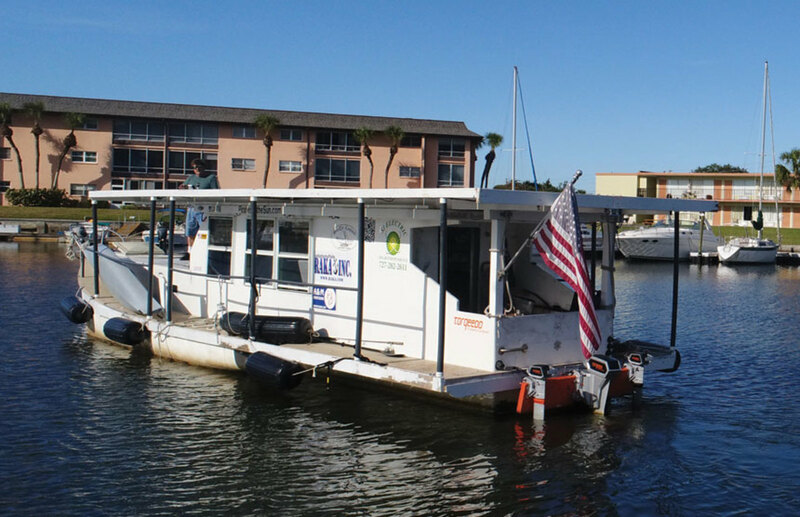 St. Louis-based Apex Marine has been offering solar versions of its pontoon boats since about 2013, working with Torqeedo to improve the electric engines that the panels power. And more recent evidence that a good number of saltwater powerboaters might be ready to trade speed for environmental friendliness came last year from Hinckley Yachts. 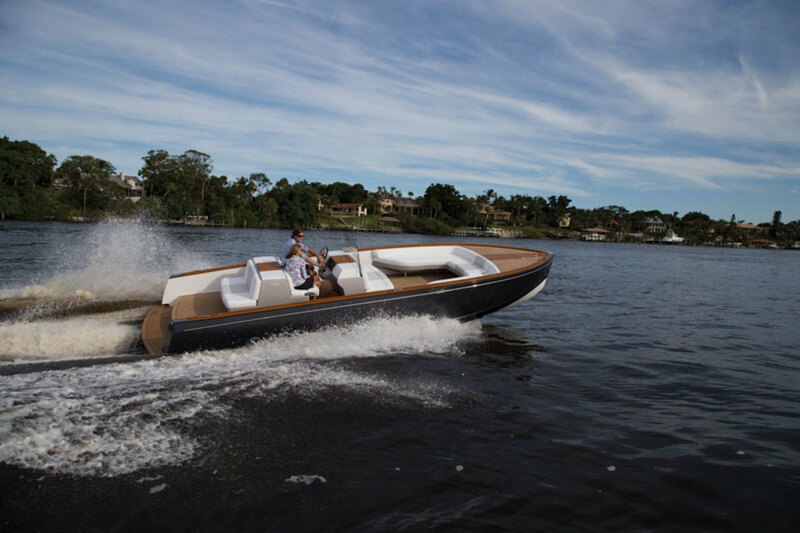 While not going solar, the Maine-based builder looked at market trends and invested in the creation of the 28-foot, 6-inch Dasher, a fully electric boat with dual BMW i3 lithium-ion batteries. 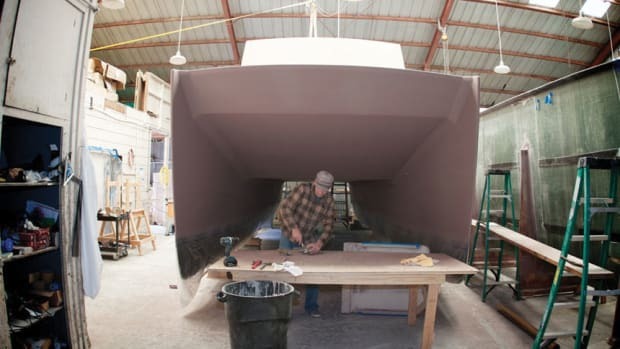 The boat should hit about 27 mph but is expected to have a cruising speed of 10 mph with a 40-mile range when the first hulls are delivered this summer. Hinckley went completely electric with the Dasher, which tops out around 27 mph. A number of factors have coalesced in the solar industry to bring more products to market in recent years. First is that the efficiency of solar technology has improved. “Every square inch, you get twice as much power now,” Kruger says. Future enhancements are also expected. About a year ago, researchers at the Technion-Israel Institute of Technology said they’d found a way to use thermodynamic tools that could boost a solar cell’s efficiency by as much as 50 percent. The materials used to make solar panels also have evolved, making the panels semiflexible instead of rigid — a key design element for mounting panels on boats, which have curves and match up poorly with stiff, angular panels. And while battery capacity for storing solar-generated power continues to increase, the cost of actually generating the power has dramatically decreased. Kruger says it’s dropped 75 percent in the past five years, while Torqeedo says it’s nosedived 85 percent during the past seven years. “This trend will soon make renewable energy more affordable than fossil-fueled power plants — it already is in some countries — and the cost barrier for renewable energy will fully disappear,” says Torqeedo. 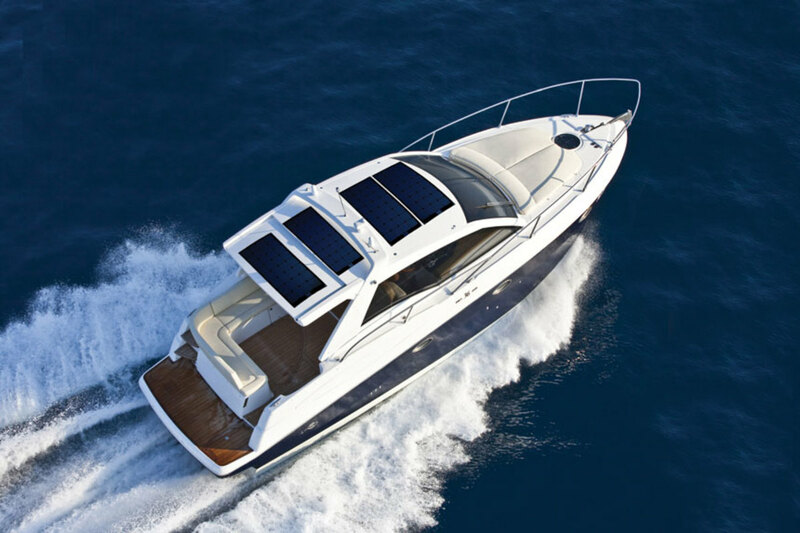 Given these market shifts and big industries such as automotive, which are investing more time and money in advancing solar technology, new products coming into the marine space now make it possible for boaters to try solar power, even if they aren’t ready to embrace it fully. Boaters weighing the options of drilled holes, glue and bungee cords to mount the panels on wood, fiberglass or aluminum typically start looking for additional choices, Kruger says. At first, they may back off from a full-on solar installation and instead test the concept with briefcase-style solar panels, which are popular in the camping and RV industries. The briefcase-style systems are just what they sound like: solar panels in carrying cases that come with features including adjustable kickstands and integrated charge controllers. Cruise to a remote harbor, unpack the briefcase and plug it into the boat’s battery system, generating enough solar power to run a few things on board. Goal Zero has been a leading marketer of this briefcase-style solar technology, with a 200-watt version selling for about $575 online. West Marine sells Kruger’s 40-watt Nature Power briefcase solar panel for $179. Nature Power’s semiflexible solar panels are easier to install than rigid panels and can be walked on. A similar concept applies to Torqeedo’s Ultralight outboards, which are designed for smaller tenders, kayaks and canoes. The Ultralight 403, which retails for $1,799, can be recharged with a roll-up portable solar array. Users typically buy a second battery, using one for cruising while the other battery charges. Because the solar array is portable, it can be left on the mothership, the dock or the beach, with the second battery connected to it. When the boater returns in the dinghy, a freshly charged battery awaits. Kruger says that boaters, while perhaps slower to adopt solar technology than other enthusiasts, tend to be the smartest about the process once they make the leap. People who cruise know how their engine rooms work. They understand their power needs, and they want systems that are specified for the type of boating they plan to do — which is important because there is no one-size-fits-all solar system for all the types of boats on the water. As more boaters find systems that work for their cruising needs, Kruger says, the market expectation is that cruising families will become as keen to go solar as families that drive around the country in RVs. Not only should improving solar technology ease fuel costs and maintenance issues, but it also can enhance the experience offshore, just as it’s changing that experience on land. Greer, who cruised the Great Loop on solar power, achieved that quiet bliss with an array of 20 solar panels, each generating 245 watts, mounted on top of the boat. 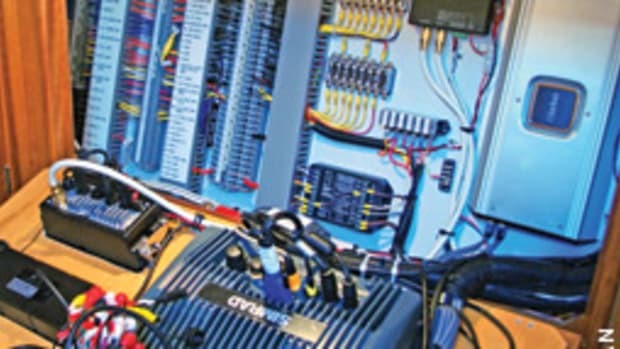 The panels provided enough power to run a Torqeedo Cruise 10.0 motor (comparable to 20 hp) and a pair of smaller Cruise 4.0 outboards (comparable to 8 hp each), with the solar energy flowing through two battery banks: one with four 12-volt AGM batteries and the other with eight, with both banks in a 48-volt configuration. That kind of setup could appeal not only to longtime boaters interested in making the solar switch, but also to the next generation of boaters, experts say. As baby boomers age and, ultimately, cede their wealth to the next-biggest generation alive — the 80 million or so millennials who care a great deal about protecting the environment — boatbuilders will need products that make sense to eco-conscious consumers. And that wave is expected to be tidal-sized, as reported by Bloomberg. A 2016 poll by the University of Texas found that 91 percent of those younger than 35 say climate change is occurring, and just over half supported a carbon tax. This article originally appeared in the March 2018 issue. As with so many things in boating, the story of Belafonte begins with another boat: Reef Express. 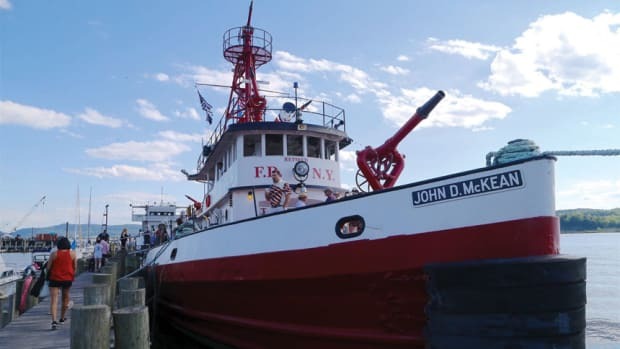 In the database of National Historic Landmarks there are all kinds of boats from throughout U.S. history, including enough fireboats that even a cursory search requires the fingers on both hands to count them. Some of the designated fireboats date back as far as the early 1900s. Whales Return To The Big Apple, Lured By Menhaden And … Times Square? 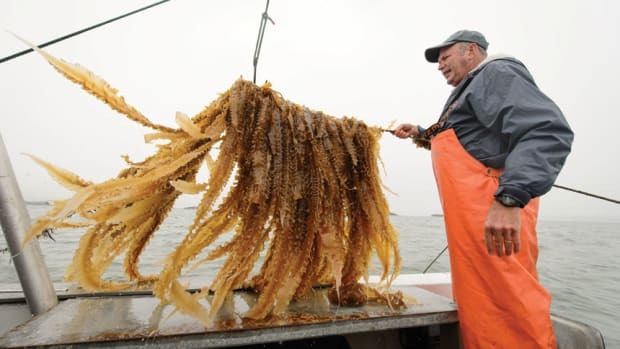 On an otherwise typical day in August 2015, John Waldman looked around the waters near his home off Hempstead Harbor, on Long Island’s north shore. Usually when he gazed out, he saw the blue shimmer of Long Island Sound. On that day, however, he saw the unmistakable silver glint of menhaden, a fish known locally as bunker. 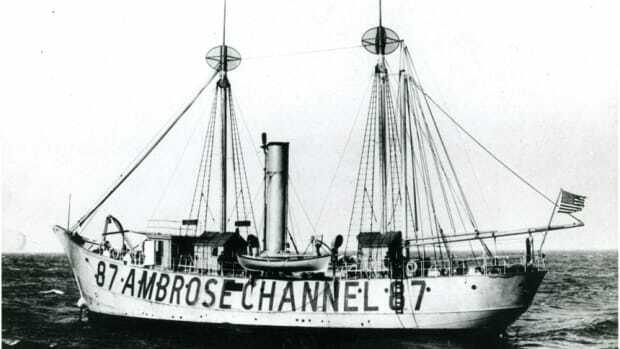 For a vessel with such a big history, the lightship Ambrose looks surprisingly small. Fred Karash says that, right from the start, the whole thing felt like a shakedown. 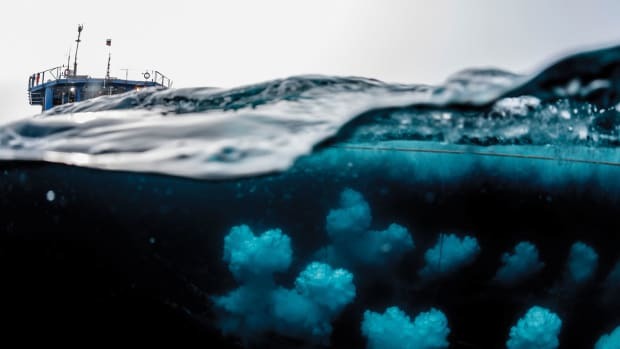 In early January, on his way out of the Oval Office, President Obama denied a half-dozen permits to companies that wanted to search for oil and gas deposits beneath the Atlantic. Environmentalists celebrated the move. Titans of the energy industry fumed. No matter how much time Charles Yarish spends aboard his 23-foot Boston Whaler Dauntless, he can’t stop thinking about what’s happening beneath the hull.